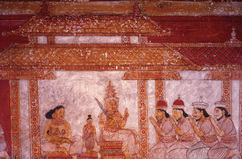 Painted on the walls of the Degaldoruva temple is this scene from the Vessantara Jataka (one of the former birth stories of the Buddha). 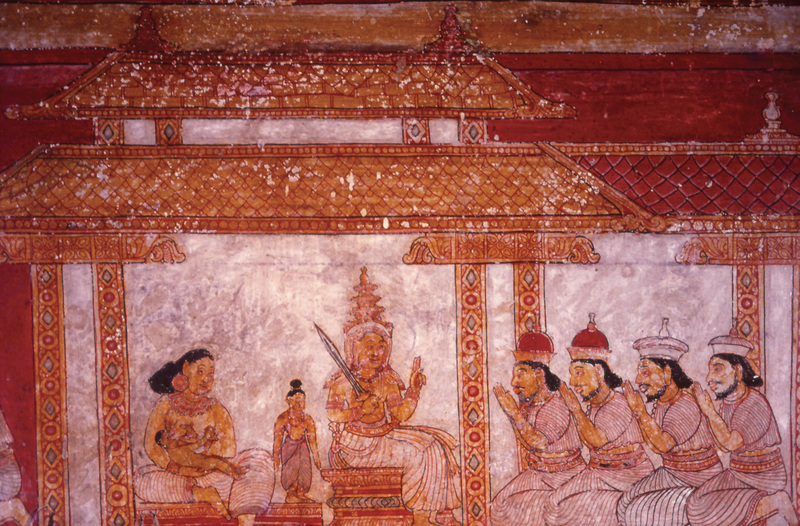 Seated next to each other, while Vessantara talks to state officials, the queen suckles her infant daughter, sharply defining her domestic role, away from matters of state. Sirima Kiribamune, "A sharp definition of roles, King Vessantara and his queen," online in Digital Library for International Research Archive, Item #12660, http://www.dlir.org/archive/items/show/12660 (accessed April 18, 2019).